The article reviews two critical stages in the history of architectural profession in the USSR, when the party and state authorities imposed change on all the key principles of architectural and townplanning design in the country: stylistic, social, financial, structural-and-technological, planning and other principles. The first stage (1929-1932) implied prohibition of the Soviet Avant-Garde architecture and transition to the so-called Stalin’s Neoclassicism and was implemented by Iosif Vissarionovich Stalin. The second stage (1954-1970s) implemented by Nikita Sergeevich Khruschev consisted in renouncing of Stalin’s Neoclassicism and a revival of modern architecture focused on the use of type designs, standardization and industrialization in the construction field. Meerovich, M. G. (2004). Sotsyalno-kulturnye osnovy osuschestvlenia gosudarstvennoi zhilischnoi politiki v RSFSR (1917-1941gg.) [Sociocultural basis of implementation of the state house-building policy in the RSFSR (1917-1941)] (Doctoral dissertation). Irkutsk. Meerovich, M. G. (2005). Kak vlast narod k trudu priuchala: zhilische v SSSR – sredstvo upravlenia lyudmi 1917-1941 gg. [How the power taught people labour: dwelling in the USSR as the means of people management. 1917-1941]. Stuttgart. Solovieva, E. E., & Tsareva, T. V. (2012). Novye doma. Architektura zhilykh kompleksov Moskvy 1920-1930-kh godov [New houses. Architecture of residential complexes in Moscow of the 1920-1930s]. Moscow: Plan. Zadorin, D. (2015). Ne ot dobra k dobru, ili istoria sovetskogo tipovogo domostroenia [Not seeking after anything better, or the history of standard Soviet home-building]. Project Russia, 77, 88-94. MEEROVICH, Mark. From a Reform to a Reform. 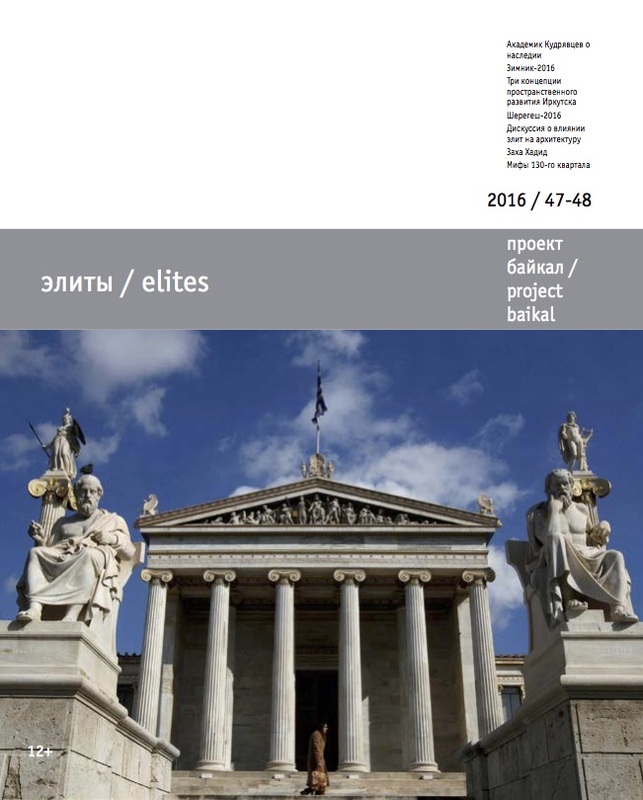 project baikal, Russian Federation, n. 47-48, p. 150-155, may 2016. ISSN 2309-3072. Available at: <http://projectbaikal.com/index.php/pb/article/view/1014>. Date accessed: 23 apr. 2019. doi: https://doi.org/10.7480/projectbaikal.47-48.1014.